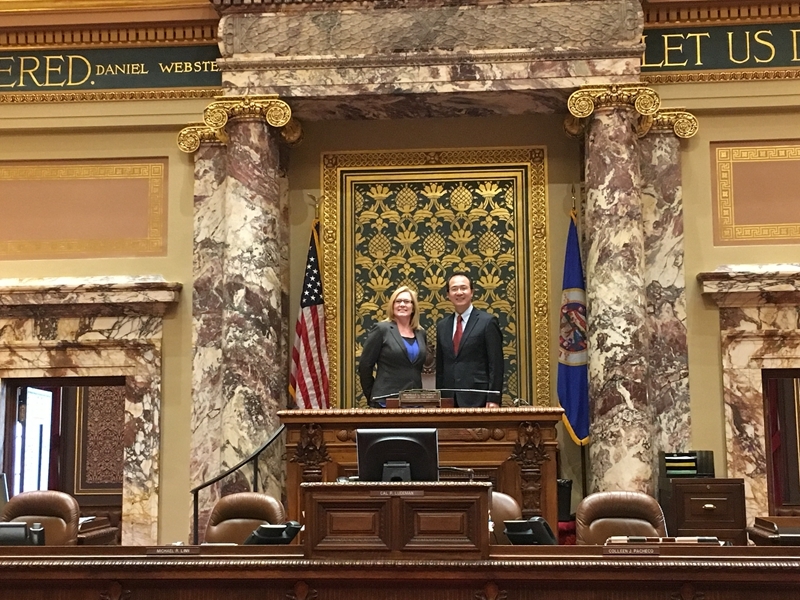 On February 9, Consul General Hong Lei visited the Minnesota Senate, where he met with President of the Minnesota Senate Michelle L. Fischbach and Majority leader of the Minnesota Senate Paul E. Gazelka. 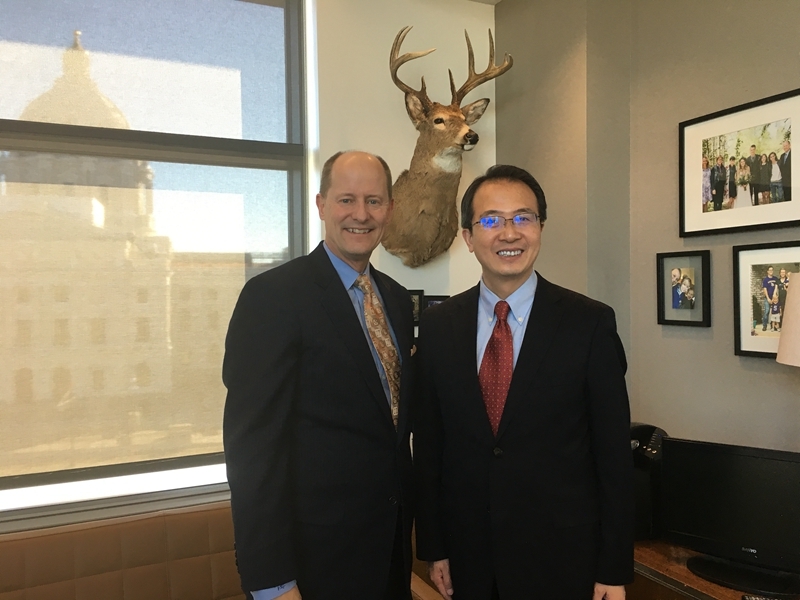 Consul General Hong Lei said he was happy to visit Minnesota again. Minnesota is widely engaged with China in various fields. In 2015, bilateral trade volume reached $ 12 billion. China is the third largest export market of Minnesota and has remained the second largest trading partner of Minnesota for many years. In the past 15 years, Chinese companies have invested up to $ 570 million in Minnesota and created over 1,600 new jobs there. Investment of Minnesota companies in China has also been well paid off. China is moving forward further reform and opening-up and pushing for development that is innovative, coordinated, green, open and sharing. China’s vast market potentials and huge consumption power will bring a bright prospect for Minnesota’s cooperation and engagement with China. China commends the Minnesota state government and senate’s commitment to fostering bilateral trade, investment, educational and cultural cooperation with China, and stands ready to work with Minnesota to upgrade bilateral cooperation.